Owen Catto is worried about the stress the dry is causing. The group’s senior community educator, Owen Catto, said there had been a noticeable increase in the number of calls in the past two weeks. Mr Catto, who had 18 years of farming and agriculture consulting experience behind him before entering his current role, said Regional Men’s Health encouraged men to ‘talk to a mate when it gets too much’. The group was founded in 2002 with the aim of addressing the risk of suicide in regional men. ‘It is about sharing your story and realising there may be other men experiencing the same thing,’ Mr Catto said. He encourages farmers to move forward and embrace progressive changes. He presents a range of programs and strategies to help them, their families and communities. York farmer and Pastoralists and Graziers Association vice-president Tony Seabrook said he could understand why some farmers were struggling with depression and anxiety following recent near-drought conditions. 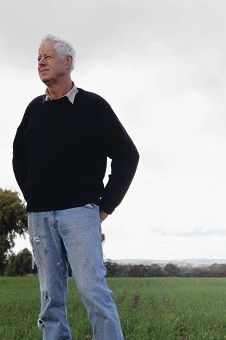 ‘I think, ultimately, what it comes down to is that an enormous amount of farmers identify themselves with their land and when the land is hurting, they are hurting,’ Mr Seabrook said. The long-term weather forecast for the region shows a chance of above-|average rainfall through July and August, which could provide relief for farmers in the Avon Valley. East of York, some properties have little grass in paddocks to feed dwindling stock numbers. A record number of sheep were sold off at the recent Muchea sales. ‘I don’t hold much comfort in the forecast for more rain,’ Mr Seabrook said.